Charles Dickens remains - 200 years after his birth - arguably Britain's most successful writer. Works such as Great Expectations and Oliver Twist have amused and inspired readers in all languages since their original publication in the nineteenth century, and have been adapted countless times for the stage and screen. 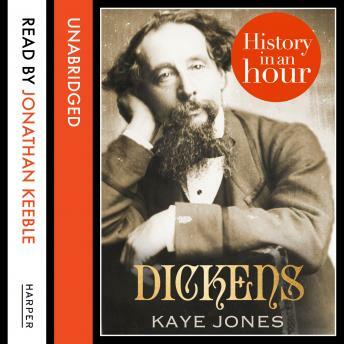 Dickens: History in an Hour covers all the major facts and events surrounding Dickens's life; the poverty of his childhood, his experience in Warren's Blacking Factory, the evolution of his novels, his tours around America and Europe and his sometimes scandalous private life. Dickens: History in an Hour tells you everything you need to know about Charles Dickens in just one hour.